The Prime Minster has declared Thursday 7 August 2014 to be a National Day of Mourning to honour the victims of Malaysia Airlines Flight MH17. The National Memorial Service is interdenominational and members of the public are invited to attend. 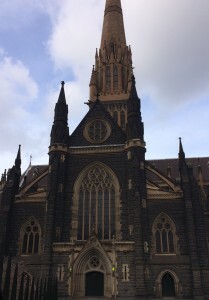 Upon the Government’s announcement, Archbishop Hart said ‘I extend my deepest sympathy and prayer to those families, friends and communities so devastated by the loss of their loved ones on Flight MH17. ‘I hope and pray that all who gather at St Patrick’s Cathedral next Thursday for this National Day of Mourning for the victims will be united in their prayer and efforts to bring healing to those who grieve. This entry was posted in Uncategorized on August 4, 2014 by Mark Wei.